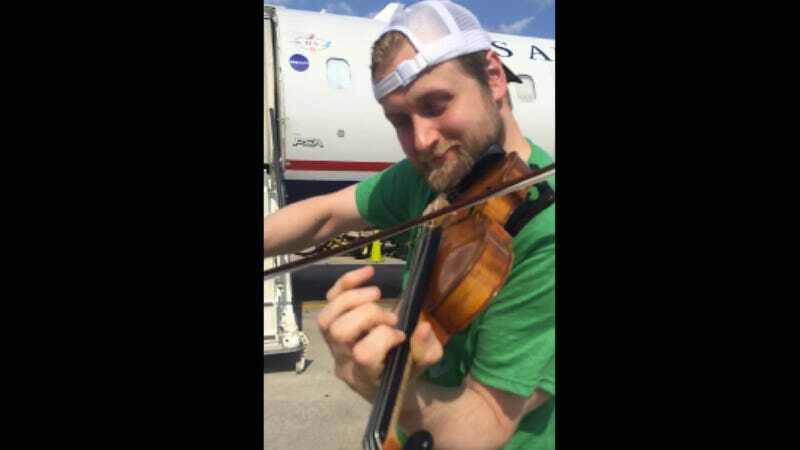 Seriously, how does the captain just walk by this guy on a violin after these musicians got thrown off a U.S. Airways flight? How do you keep a straight face when he says "Bach would be very upset."? Because I couldn't. I'm so sick of Northwest Arkansas and how they're in bed with Big Fiddle. It's like they don't even care that you're not a bluegrass band, they just see a violin and assume you're a threat, even if you're just a 3-year-old Chinese kid. Don't even get me started on East Tennessee and banjos. They shot Steve Martin through the head with an arrow once. You can find photos online, it's pretty graphic. Just don't call it Fiddlegate.